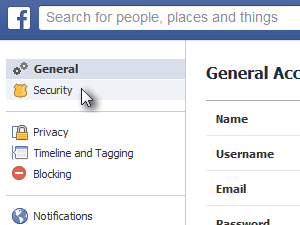 If you are afraid of being hacked or someone else using your Facebook account you can enable option that will send you an email or text message in case your account has been accessed from a device that you never used before. 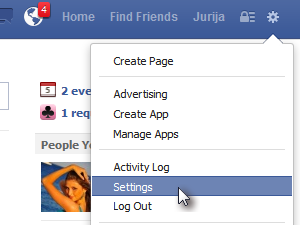 In your Facebook page click the options button and choose Settings (see picture). 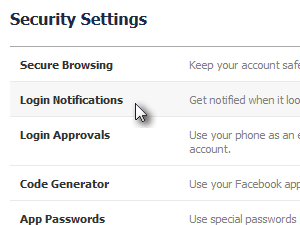 Under Security Settings click Login Notifications. 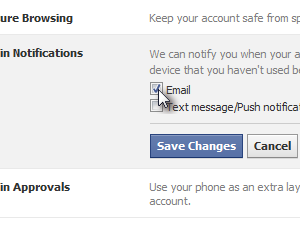 Now simply enable the Email option and click Save Changes. From now on if someone logs into your Facebook account from a computer or device that has never been accessed from, you will receive an email notification. If you want to receive a Text message on your phone as well, choose Text message/push notifications option and enter your phone number. Don't forget to Save Changes.